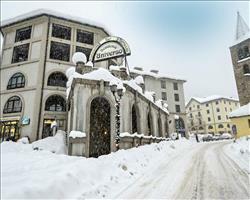 The ultimate guide to Courmayeur ski holidays. 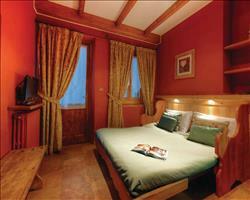 Located on the Italian side of the Mont Blanc tunnel, chic Courmayeur is an intermediates paradise. Whether you want to tour the Aosta Valley, pop over to legendary Chamonix or feast on the best food in the mountains, this quaint little resort is sure to tickle all your taste buds. Situated on the North Western corner of Italy and rubbing shoulders with France and Switzerland, Courmayeur is one of the more popular resorts in the Aosta Valley. Famously founded as a spa town in the 17th Century for its natural outlets of pure alpine water, it became a top destination for the mountaineering community around the 19th century and has maintained its traditional image and beauty ever since. With a car-free village centre, this stylish, family friendly resort is perfect for anyone who wants a challenge on the slopes followed by relaxing evenings enjoying good food and vino. As the weekend skiing choice of the social elite of Milan and Turin, the town has a very fashionable feel alongside its alpine heritage. The historic village oozes charm with cobbled streets, old wood and stone buildings and the central Via Roma housing designer boutiques, cafes and some of the best restaurants in the Alps. The surroundings don’t disappoint either - take in stunning views with 14 mountain peaks over 4000m visible on a clear day, including the graceful giant of Mont Blanc. Thanks to the village being small and easy to travel around, you have the luxury of never being too far from the slopes here. With regular bus shuttles running throughout the village and the outlying areas like Entreves, getting from your bed to the piste is as easy as pie. The local ski area has 33 pistes totalling 42km and if you count off-piste too, there's a hefty 100km to roam. 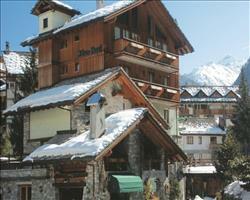 If you do fancy getting out of town, the ski pass includes access to the legendary French resort of Chamonix. Cham is accessible from the Skyway Monte Bianco lifts from Courmayeur valley (hop off at Punta Helbronner for the incredible Vallee Blanche descent) or a 45 minute drive. 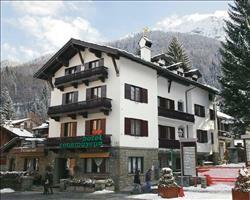 It has 173km of slopes and two days in other Aosta Valley resorts are usually also included. 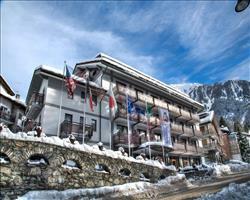 La Thuile is only a short drive and getting to the historic town of Aosta and its attached resort Pila is also a breeze. View our detailed Courmayeur snow forecast or snow report and see all live webcams, piste maps, road and travel maps and lift pass prices. For a picture of historic snow conditions see the snow depths month by month with our Courmayeur snow history. Courmayeur has two main areas: the Chécrouit-Val Veny is by far the biggest, serviced by a cable car from Plan Chérouit, a gondola in Dolonne and a cable car in Entrèves for those staying out of town. The Mont Blanc lift network makes up the second area, which includes the legendary Vallee Blanche. The two ski schools (Societa Guide Alpine Courmayeur and Scuola di Sci) maintain a solid reputation in tuition and with a number of blues on either side of the ridge, beginners can experience a variety of terrain. There’s a small selection of nursery and blue runs such as Chetif, near the Entrèves cable car and the Pra Neyron chair lift also has access to two of the longer blues: Val Veny down the Entreves side, and Pra Neyron on the Dolonne side. More confident snow lovers have heaps to ski. Lavenchon is one of our favourite reds, with plenty of open space before an open and smooth descent down to the Le Greye button lift. Internazionale is another which is both challenging and friendly, as well as being long, with connections to a number of blacks including Des Eves, Rocce Bianche and Diretta if you fancy cranking things up a bit. The Bertolini chairlift serves the Rocce Bianche and Des Eves black runs, both of which have awesome views of the Mont Blanc massif. The black Diretta has everything from wide open areas, to tight tree lined steeps, and leads to the Zerotta lift, which accesses the Pista Dell’Orso black. Off piste, the Vallee Blanche is a legendary must ski, while Cresta d’Arp and the Toula glacier are best taken on with a guide. For a bigger challenge, book a heli trip. The snowpark on the red Aretu run is amazing, with a good mixture of easy rails and trickier jumps up to 8 metres high and an airbag with jumps for beginners and experts. While this is the ski destination for the natives of Turin and Milan, with shopping to match their tastes including the likes of Cartier and Hermes, this isn’t to say the town is only for the elite. 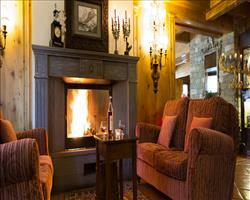 Courmayeur is the perfect place to relax in an armchair with a cocktail and canapés in bars like Prive. Bar Americano is perfect for late night snacking on crepes, sandwiches and burgers. Roma is also a popular destination – in the past they’ve given out free canapés with drinks. Courmayeur is a hub of Italian mountain dining and one of the best resorts in the world for foodies, with classic pizza and pasta dishes on every menu. 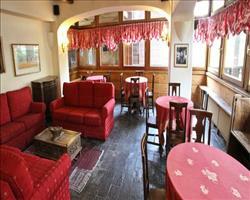 La Terrazza, just off the pedestrian town centre serve reasonably priced meals including the best pizza you’ll eat. For a bit of mountain dining, we like Alpetta at the top of the first set of cable cars, whether you’re looking for a mountainside lunch, or just a quick drink and sugar boost (it’s worth visiting for their fantastic chocolate cake alone). For something different of an evening, Rifugiuo Maison Vieille usually organise regular torchlit descents and skidoo races – dinner and drinks included. For a change from the slopes, check out the indoor sports centre for a variety of different activities. Kids can have a go at the indoor climbing wall and ice skating, while those looking for a run around can play some five-a-side-football; or book the tennis, squash, volleyball and basketball courts. 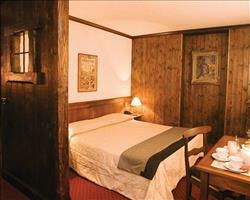 If all you need is a wind down, head down the road to the Pre St Didier, for a mountain spa experience to die for. When is the best time to ski Courmayeur? 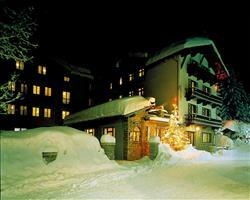 Situated at 1224 metres above sea level, and with a top piste altitude of 2755m, the resort is snow sure for a large proportion of the season. This is aided by more than 300 snow cannons throughout the village to offer a little man-made support should mother nature decide to take a break. With access to the Vallee Blanche as well, starting at 3812m and leading down to Chamonix, there’s nearly always access to snow if you are willing to travel, and you don’t mind a spot of off-piste. January and February usually offer the best helping of snow here, and with the high altitude the temperature should keep it in place between fresh powder dumps. The ‘Click on the Mountain’ event which usually happens in February is also a great time to see the village come alive and see the work of true professionals. March and April have also been known to see some fantastic snowfalls, and with the flexibility of the premium ski pass, you can usually find some good snow in the local resorts. A small mountain resort with a car-free centre, this town prides itself as being a family friendly and welcoming place. With many hotels, apartments and restaurants being family owned businesses, kids are welcomed and in true Italian hospitality will be well looked after. The area’s best suited to those with children who have already had a couple of weeks on the slopes but if you’re looking for a place to get kids started, fear not - there are two ski schools with fantastic reputations, with the Ski School Monte Bianco Courmayeur widely considered as one of the best in Italy. The Ski and Snowboard School Courmayeur is great if your youngsters have conquered skis and want to test out the dark side. The snow park off the Aretu red slope is also a perfect area for the kids to get some adrenaline souring highs without venturing too far out of their comfort zones. For the very young, there are also excellent childcare facilities and nurseries if parents want to spend some time on the slopes. While some hotels and chalets offer their own childcare services, the ski school has one of the best mini clubs for kids up to 10, and provides indoor and outdoor activities in a safe environment. Based just in Plan Checrouit, it’s perfectly located for parents to drop them off and collect them on their way to and from the piste. If all else fails, the non-ski activities are very well suited to all ages, with the indoor climbing wall and ice rink easy to keep the kids entertained. The tennis and squash courts might just inspire their summer sports choices for the year while the lovely shops and boutiques will satisfy any need for retail therapy. Courmayeur is heaven for experienced groups looking to improve their skill and push themselves on the piste and enjoy the chic village charm and world famous food later on in the day. With a wide selection of hotels throughout the village and in the surrounding areas, self catering apartments and chalet hotels, groups of all shapes and sizes are catered for really well. Those who are beginners or need a refresher can book tuition with the Scuola di Sci ski school. The inclusion of a snow park on the Aretu red run is superb for the more experienced, who can get to know the area with a local instructor (Giorgio Bisotti does great on-piste tours). If adrenaline pumping powder is what you’re looking for, the Societa della Guide Alpine di Courmayeur do heli-skiing and off piste tours. The après ski is sure to tickle the taste buds regardless of when in the season you come. Arrive at the weekend and enjoy the nightlife come alive as the Italians get out and party before hitting the slopes in the morning. Bar Americano plays major European sports, so you can watch some football or rugby while having a burger and chips. The welcoming and hospitable Italian village has a great balance of fine dining and reasonably priced restaurants to suit all budgets; with all kinds of pizza, pasta and grilled meat. Cadran Solaire is a great option if you are in the village centre and fancy some fine food (we love their wine list). The best thing about Courmayeur is the off piste skiing. They’ve just opened a massive off piste lift system that goes all the way to Helbronner – I haven’t been there to use it yet but it sounds really good. Besides the off-piste, the pistes are mainly reds and blues with a couple of blacks and I’ve always had good snow whether in winter or spring. There are plenty of bars and a lot offer free food which is unusual in a ski resort... the American Bar and Bar Roma offer what’s probably best described as very similar to tapas, with things like slices of pizza, crisps, sandwiches and pasta. On top of the free food you can get in most places, the cost of things in Italian resorts is considerably cheaper than you get in France – I’d never go back to France after some of the prices I’ve had to pay. "Elegant spot beneath Monte Bianco - a class act"
Not only can you experience the thrills and excitement of riding the slopes of Courmayeur, but there is also the chance to ski in Chamonix, where the Ski pass gives you an exciting opportunity to ride the slopes of Mount Blanc. 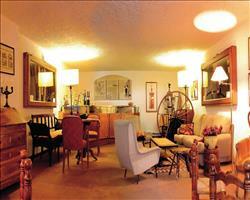 This provides visitors one of the most outstanding thrills the ski world has to offer. Beginners join ski school at Plan Checrouit where there are some easy blue runs Intermediates enjoy the variety of red runs; the leg-burner from Youla to Zerotta has a height difference of 1000 metres. Nearby La Thuile provides even more variety. Advanced skiers will appreciate Courmayeur's huge off-piste potential - from Arp or Youla to either Zarotta, Dolonne or La Balme. Or tackle the famous 24km Vallée Blanche glacier run down to France. Resort - Courmayeur ski resort is at the foot of Mont Blanc, Europe's highest mountain, close to the French border in the Aosta Valley. It is a characteristic Italian village of cobbled streets, stylish shops and excellent cafés and restaurants, all set within an attractive medieval centre. The main skiing area is at Plan Checrouit and, with over 80% of the skiable terrain covered by snow cannons, snow here is virtually guaranteed. Apres ski - It doesn't matter who you are, Courmayeur will satisfy your appetite for fun, relaxation and all your other desires throughout your stay! 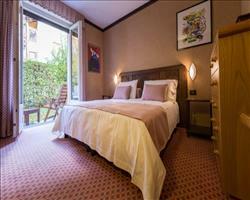 "We love Courmayeur - it’s expensive but lovely and low key." Absolutely fabulous week – the weather was just perfect, it was sunny every day. The snow conditions were fine, they had a nice continuity of snow (on the final day we couldn’t see it was so snowy!). We don’t want somewhere for partying so it’s perfect for us.